Growing the Inner Ear: Healing the Hearing Impaired? The solution to inner ear issues may be near. As adults grow older, they become more likely to develop hearing and balance disorders. Hearing loss can result from a multitude of factors, including bacterial and viral infections, environmental and work-related noise exposure, genetics, medication toxicity and trauma. Some of these conditions affect the cochlea, which is the inner ear. 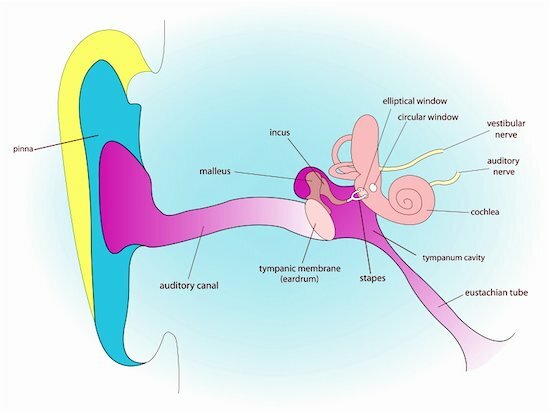 As the innermost part of the vertebrate ear, this section of the body is responsible for sound detection and balance. If this part of the body is damaged, your ability to hear suffers greatly. New research at the Indiana University School of Medicine has developed a way to grow inner ear tissue from human stem cells. The researchers’ findings may lead to better methods of treating hearing loss. Find out how they were able to achieve this success and what it means for the those with hearing impairments. In the past, researchers have had difficulties growing inner ear tissue. Traditionally, scientists cultivate human stem cells in a flat layer on a culture dish. However, this method proved unsuccessful in producing viable tissue. Research leads, Karl R. Koehler and Dr. Hashino, instead tested a different culturing technique called three-dimensional culture. The three-dimensional culture is a technique that grows stem cells in a floating ball-shaped aggregate. This method allows the cells to grow more naturally. They incubate in an environment similar to the body. Through expert guidance, the scientists were able to create structures called “organoids.” These structures contain sensory and supporting cells akin to the ones in the inner ear. What Does This Research Mean for the Future? Dr. Hashino and his colleagues hope to use this new knowledge to study diseases and disorders that affect hearing. In addition to learning more about the ear, the scientists hope to develop new therapies and drugs. “We hope to discover new drugs capable of helping regenerate the sound – sending hair cells in the inner ear of those who have severe hearing problems,” Dr. Hashino said. If successful, then this is another step towards healing people with hearing impairments. This entry was posted by Social Media Team on May 31, 2017 at 11:00 am, and is filed under Ear Neck Throat. Follow any responses to this post through RSS 2.0.You can leave a response or trackback from your own site.